Sweet home with Kepanjen views, situated in a convenient, friendly neighborhood. Property 20: Sweet home with Kepanjen views, situated in a convenient, friendly neighborhood. Hibiscus Upper Suite/ubud/best Breakfast In Bali! Property 38: Hibiscus Upper Suite/ubud/best Breakfast In Bali! Bungalow Jepun/ubud/best Breakfast In Bali! 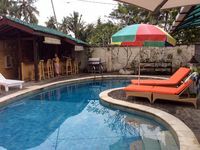 Property 39: Bungalow Jepun/ubud/best Breakfast In Bali! Jasmine Lower Suite/ubud/best Breakfast In Bali! Property 40: Jasmine Lower Suite/ubud/best Breakfast In Bali! The tropical garden is lush and cozy nestled around the accommodation units. It is serviced every day before people get up..